The Balearics are blessed with some of the most attractive landscapes in Spain, and a coastline that only Catalonia’s Costa Brava can match for beautiful coves with pine-covered hills running down to the sea. But as islands, the Balearics have a shortage of land that bigger, mainland regions like Catalonia don’t face, and this land shortage will always support the value of property in a region where international demand for holidays and holiday homes remains strong. It’s a fact that there is a shortage of building land in the Balearics, where strict planning laws also restrict the supply of new homes on the islands. As a result there are fewer new developments for sale in the Balearics than Catalonia, which is probably the region’s main competitor when it comes to attracting tourists and second home buyers, as they have a similar climate, coastline, countryside and catalan-speaking culture (though arguably the Balearics have a better climate if you want reliable sunshine). And right now the political stability in the Balearics is also bound to be an advantage in the eyes of some foreign investors. Right now there are 97 new developments for sale in the Balearics (according to the Spanish property portal Idealista), 81 of them (84%) in Mallorca, and 43 in Palma de Mallorca (44%), mainly first home developments that are not targeted at buyers from abroad. Of the remaining 50% I estimate that just around 20 to 25 will appeal to foreign buyers looking for a second home in the Balearics. 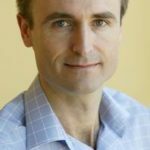 The lack of supply in the face of reliable, diversified, international demand is usually a good sign when it comes to supporting values. And sure enough, the average price for these new developments higher than other parts of Spain, where land is not so scarce. But scarcity doesn’t mean no choice. In Mallorca, in particular, there are a number of projects to choose from in areas popular with holiday home buyers, though in Ibiza and Menorca the choice is more limited. As we come to the end of January, and people who are planning to buy in the Balearics this year start turning their attention to making it happen, here are a couple of new developments to bear in mind from the OD Group, one of the leading developers in the Balearics. 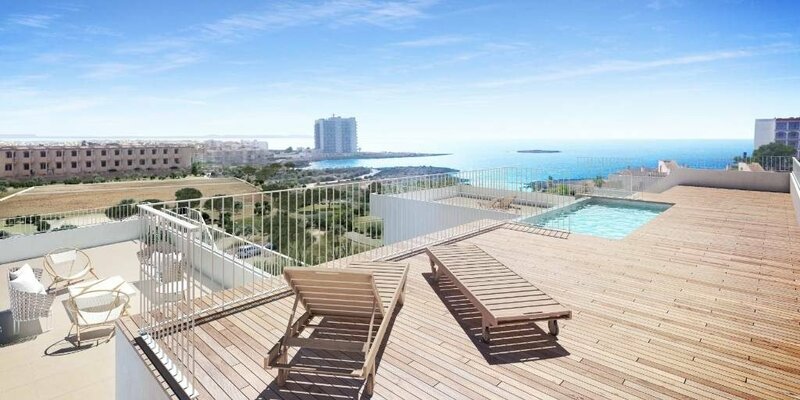 A stylish project of four large apartments in a condominium with communal gardens, pool, private parking, just a short walk from the beach and the centre of Colonia Sant Jordi. This new development is being built with all the latest in design, fixtures, and fittings, so the homes will be easy to maintain and use both as permanent, semi-permanent, or holiday homes in an area you can enjoy year round. 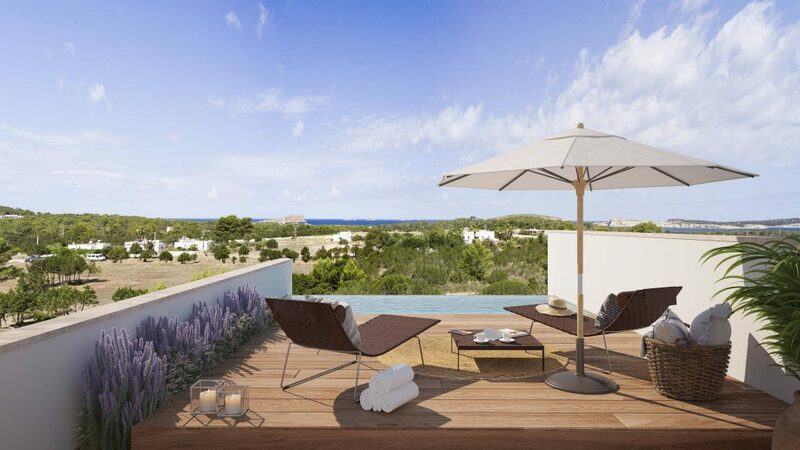 This is one of the only new developments for sale in the Southeast corner of Mallorca. A gated community of 15 villas being built on the last remaining plot available for development in this sought-after corner of Ibiza, in the south west of the island near the beaches of Cala Comte (Cala Conta in Spanish). Cala Comte is the latest addition to The White Angel brand of upmarket and top-quality new developments in prime holiday-home locations with a full range of concierge services provided by the OD Group. The first White Angel was built in the Botafoch Marina area of Ibiza, followed by TWA Baqueira, and TWA Talamanca. Buyers benefit from a known brand synonymous with quality, style, service and location, with a track record to prove it.